broadband service Archives · Stop the Cap! Charter Communications and the New York Department of Public Service announced a tentative settlement Friday that would allow Spectrum to continue providing cable TV, phone, and internet service in New York in return for a renewed commitment from the cable company to meet its 145,000 new passings rural broadband buildout agreement, commit to an expansion of that rural buildout, and in lieu of fines, pay $12 million in funds deposited in two escrow accounts to be used to help defray the costs of further broadband service extensions apart from Charter’s original commitments. The agreement reinforces the state’s desire that Charter’s broadband expansion commitment be met by expanding service to homes and businesses in areas unlikely to get cable service otherwise, namely areas in Upstate New York. The state originally objected when Charter tried to count new passings in the highly populated New York City area as part of its expansion commitment. 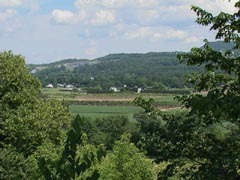 The new agreement requires the 145,000 homes and businesses newly passed be entirely Upstate, and completed no later than Sept. 30, 2021. Charter’s record of failure on its rural expansion commitment is stark. Charter did not even come close. Department Interim CEO Gregg C. Sayre said in 2017 that as of May 18 of that year, Charter had only extended its network to pass 15,164 of the 36,250 premises it was required to pass in just the first year after the merger. With just shy of 65,000 premises recognized as completed as of December, 2018 — almost three years after the merger — Charter was 15,236 premises short, based on the December 16, 2018 deadline. Within a few weeks from today, the company should have completed its 101,708th new passing. That seems extremely unlikely to actually happen. Charter itself claimed in July, 2018, “Spectrum has extended the reach of our advanced broadband network to more than 86,000 New York homes and businesses since our merger agreement with the PSC.” That number is also suspect. The company did not say if the expansion numbers it reported met the terms of the 2016 Merger Order, but Charter obviously thought those should be counted as legitimate new passings for the purpose of meeting its merger obligations. 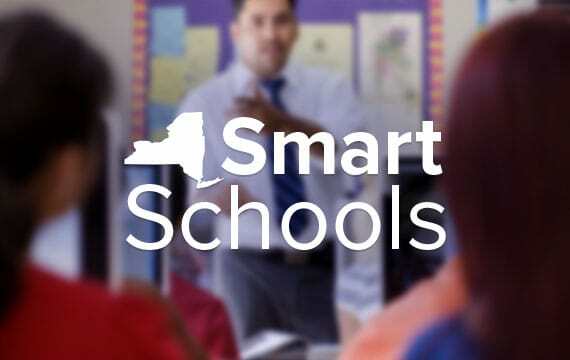 New York regulators clearly thought many of those expansions did not, and were infuriated when Charter began airing advertisements promoting its rural expansion in New York with what the state believed to be inflated numbers. A review of the proposed legal settlement shows the Commission accepted many of the recommendations made by Stop the Cap! regarding the terms of any deal that would rescind last summer’s order revoking approval for the merger of Time Warner Cable and Charter Communications in New York State. We recommended the settlement focus on requiring an even greater expansion of rural broadband than originally envisioned, particularly in areas the state designated for HughesNet satellite internet access. We also recommended that any monetary fines be directed to further expansion of rural broadband, instead of being sent on to Albany to be added to the state’s general fund. We noted that although Charter flagrantly violated the terms of the 2016 Merger Order, successfully removing the company from New York would likely result in years of litigation, and the likely entry of Comcast, which in our view is anti-consumer, and a much worse choice in terms of pricing and the quality of customer service. 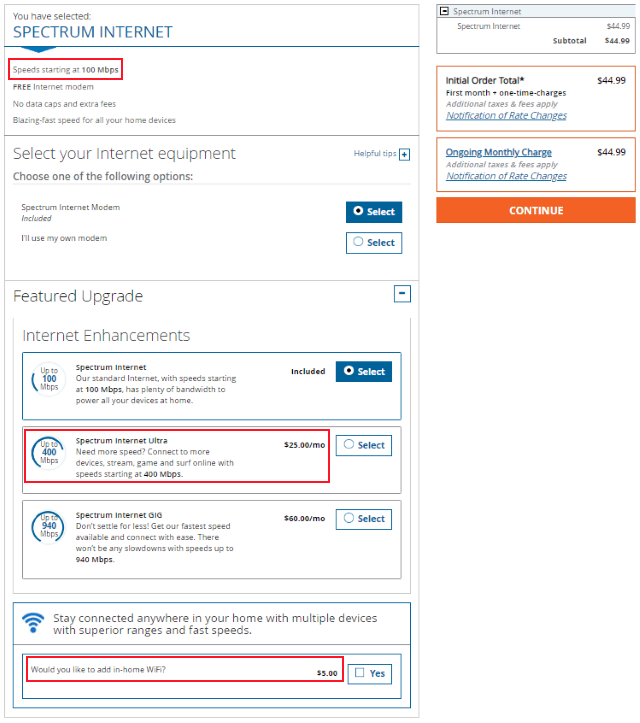 Comcast also imposes data caps in many of its service areas, a concept which Stop the Cap! obviously fiercely opposes. In our view, given a choice between Charter and Comcast, which would be the highly likely outcome, New York consumers would benefit (slightly) by keeping Spectrum service. 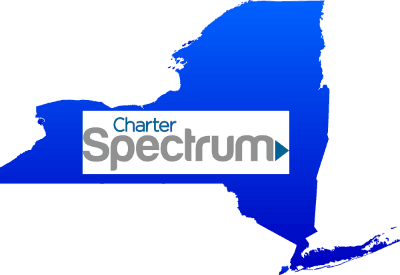 Charter is recommitted to expand rural internet service to 145,000 New Yorkers qualified as unserved (download speeds less than 25 Mbps available) or underserved (download speeds of 25-99.9 Mbps) entirely within Upstate New York. To ensure Charter does not simply choose “low-hanging fruit” to wire, such as new housing starts or urban business parks, the agreement limits Charter expansions to no more than 9,500 addresses in the urban and suburban areas adjacent to Albany, Buffalo, Mt. Vernon, Rochester, Schenectady, and Syracuse. Additionally, Charter is restricted from expanding service to no more than 9,400 addresses that are scheduled to get (or already have) access to another wired provider because of a grant from the New NY Broadband Program. But Charter is allowed to expand service to reach not more than 30,000 customers stuck on New York’s list of addresses designated to get HughesNet satellite internet. Stop the Cap! strongly recommended the Commission do all it can to require or encourage Charter to reach as many satellite-designated New Yorkers as economically feasible. The proposed agreement takes our recommendation into account, but we will urge the Commission to strike the 30,000 cap and allow Charter to reach as many of these disadvantaged customers as possible, and have it count towards their broadband expansion commitment. Those addresses designated to receive satellite service are the least likely to be reached by any commercial provider because of the costs to reach them, and they are too scattered across the state to make a public broadband alternative feasible. Charter gets to include some ‘already-in-progress new passings’ towards its 145,000 new passings commitment: 5,993 passings located within Upstate Cities Charter would likely have serviced anyway; 4,388 wired overlap passings (where an existing telco or cable provider already offers service), and 9,397 addresses where wireless or satellite service was the only option. If Charter again fails to stay on schedule, it must pay $2,800 for each designated-as-missed passing address into an escrow fund. If it chooses not to appeal that decision, or loses an appeal, those funds will be added to an Incremental Build Commitment fund described below. The first rural broadband expansion fund will contain $6 million dollars that Charter will pay into escrow and will be dedicated to defray Charter’s costs of constructing additional broadband passings above and beyond the 145,000 noted above. Charter itself or the state can designate the unserved addresses either want serviced, and Charter will be permitted to withdraw funds to pay for materials, construction, labor, licensing, and any permits required for these incremental expansion efforts. This money will be reserved for Charter to use for its own projects. Although New York Gov. Andrew Cuomo promised broadband service for any New Yorker that wants it, his New NY Broadband Program left more than 80,000 New York homes and businesses behind because the program relied on private companies to bid to serve each unserved/underserved New York address. 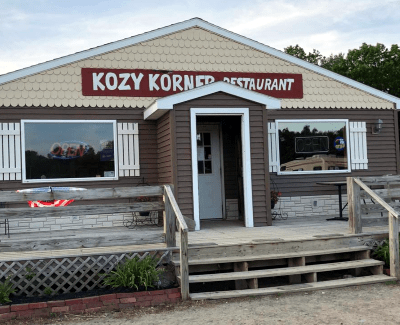 In especially rural areas, no company ultimately bid to reach those addresses because the subsidy funding offered by the state was too little to make the expansion investment worthwhile. In the end, those addresses were designated to be served by HughesNet, a satellite internet service provider. But HughesNet cannot guarantee its internet speeds, has draconian usage caps, and is very expensive. Customer satisfaction scores are also generally poor. For most, a wired internet solution is far preferable. To get one, New York would need to launch a new round of broadband funding, with a more generous subsidy to make construction costs to reach those unserved customers financially worthwhile. The second $6 million rural expansion fund is more or less exactly that — an additional source of funds to try to reach those missed by earlier funding rounds. Most of the money in this fund would be awarded after a bidding process starting on or after Sept. 30, 2021. Any provider capable of offering customers at least 100 Mbps service will be qualified to participate in the first round of bidding to receive a portion of this money. 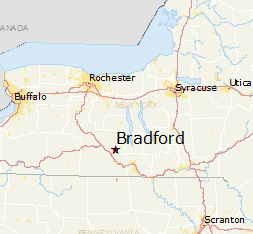 The areas under consideration would be in existing Charter franchise areas or outside of a Charter-franchised area if both Charter and New York’s Broadband Program Office (BPO) agree. In most cases, for reasons of simplicity, we expect most this money will end up financing expansion projects just outside of Charter’s existing service area. So if you happened to live within a mile or two of an existing Charter customer, this money could be used by Charter to extend its network in your direction. Charter also enjoys the right of first refusal, an important advantage for the cable company. Charter could agree to service a designated address before it becomes open to a competitive bidding process. The terms are generous to providers, who only have to agree to pay 20% of their own money to submit a cost-sharing bid. The fund would cover the remaining 80%, which would be particularly useful where the cost to extend a fiber connection to a rural neighborhood or development would run into the tens of thousands of dollars. The downside is that $6 million will not go very far in these high cost areas, where a single project could easily exhaust $50,000-100,000 just to reach a handful of homes and businesses. Assuming there are any funds left, the BPO will entertain bids in later rounds from wireless providers delivering at least 25 Mbps service, assuming no wired provider submits a bid. But it is just as likely the funds will be long gone before that happens. The state needs to choose the wording of its terms carefully. Charter could easily apply for funds to buildout new housing tracts or large development projects and business parks the company would have reached anyway. We recommend restricting these funds exclusively to projects that would otherwise fail a bidder’s own Return On Investment formula. Stop the Cap! intends to be a participant in the comment round and we will share with readers our formal comments as they are submitted. If your home or business is more than 150 feet from the nearest Comcast cable, the company will think twice before providing you with service. Pat Ulrich and her 50 neighbors in a rural subdivision in Arkansas have waited more than 15 years for Comcast or AT&T to extend broadband service to no avail, not unless they are willing to pay an installation fee of almost $50,000. “When we evaluate prospective new build opportunities, we take into account such factors as distance from where our nearest network exists, costs associated with a proposed build-out, and number of homes and businesses that could be served. … This subdivision is many miles from our nearest plant.” Alex Horwitz, vice president of public relations for Comcast, told Arkansas Business. A nearby neighbor of Ulrich was quoted $46,000, mostly to install over 6,400 feet of fiber optic cable to connect the subdivision to Comcast’s network. AT&T is no help either, because the homes are too far away from the phone company’s central switching office to deliver adequate internet service. The FCC’s Connect America Fund (CAF) and other broadband funding initiatives normally might offer Ulrich and her neighbors some help, except for the fact the FCC’s broadband availability maps falsely claim the subdivision is already getting broadband service, which disqualifies it from receiving broadband expansion subsidy funding. “We built a house in 2004 and never imagined it would take this long to get reliable broadband service,” Ulrich said. Comcast is investing in some buildouts in its service area, but mostly to serve business parks. For residential areas, the company wants to limit the amount of cable it must install to reach a prospective customer to under 150 feet. If service is not available on your street, chances are the company will quote an installation fee running into the thousands of dollars. Unfortunately for Ulrich, even if she managed to have the FCC correct their broadband availability map, Horwitz said Comcast has not bid for any of the FCC’s CAF projects in Arkansas. 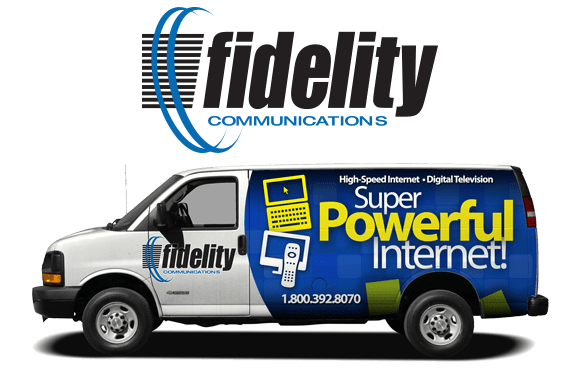 Cable ONE today announced it has acquired family owned cable operator Fidelity Communications, in a $525.9 million cash deal. Fidelity serves 134,000 residential and business customers in smaller communities in Arkansas, Louisiana, Missouri, Oklahoma, and Texas. Cable ONE showed interest in Fidelity because many of its small cable systems are not too far away from existing Cable ONE systems that also target smaller communities. Fidelity systems typically sell broadband at speeds of 50 Mbps ($64.99) and 100 Mbps ($89.99). Fidelity does not usage cap its customers, Cable ONE does. Cable ONE has also been criticized for charging the highest price residential broadband service in the country. Spectrum doesn’t set rates based on one area or the other, or based on what’s available to customers in specific locations, company spokesman Michael Pedelty said. “We don’t make decisions based on that,” he said. But Stop the Cap! 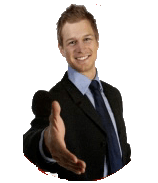 has repeatedly found that with respect to promotional pricing, offered to entice customers to switch, that is not true. That is important because when providers won’t budge on regular prices, your only alternative is to switch. Some customers repeatedly bounce between providers to get a better deal. The savings can be dramatic. A customer with 400 Mbps internet-only service that remains with Spectrum for three years on a good three-year promotion will save more than $3,000 over customers that are offered only a one year promotion from Spectrum because their only other choice was DSL from the phone company. Notice this promotion is good for 12 months. This offer is for 100 Mbps service. An upgrade to Ultra costs an extra $25 a month for 400 Mbps. 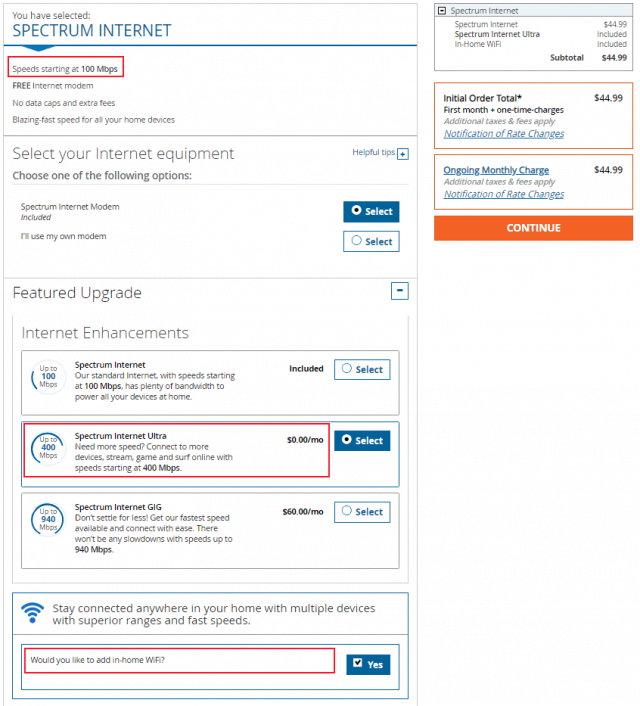 Notice also, the Wi-Fi feature enabled on their router/modem equipment is $5 extra a month. Notice this promotion is also $44.99 a month, but is good for two years instead of one. Notice the promotion is also for 100 Mbps, but check out the FREE upgrade to 400 Mbps, a $25 savings just because there is more serious competition. Also notice the $5 monthly Wi-Fi charge is gone. This deal is for $29.99 and is good for THREE years. This promotion begins with 200 Mbps service, but offers a FREE upgrade to 400 Mbps and that pesky $5 a month Wi-Fi fee is nowhere to be found. 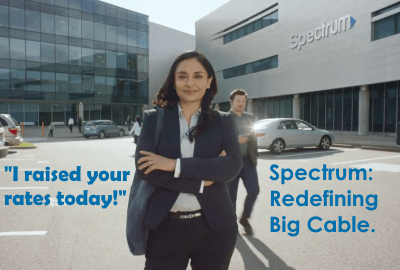 In short, any claim that Spectrum does not target different promotional pricing offers based on the competitive landscape on the ground is provably false. The evidence is right here. One Competitor Pricing: $2,231.64² which delivers a savings of $1,871.88 over three years because of presence of one serious competitor. 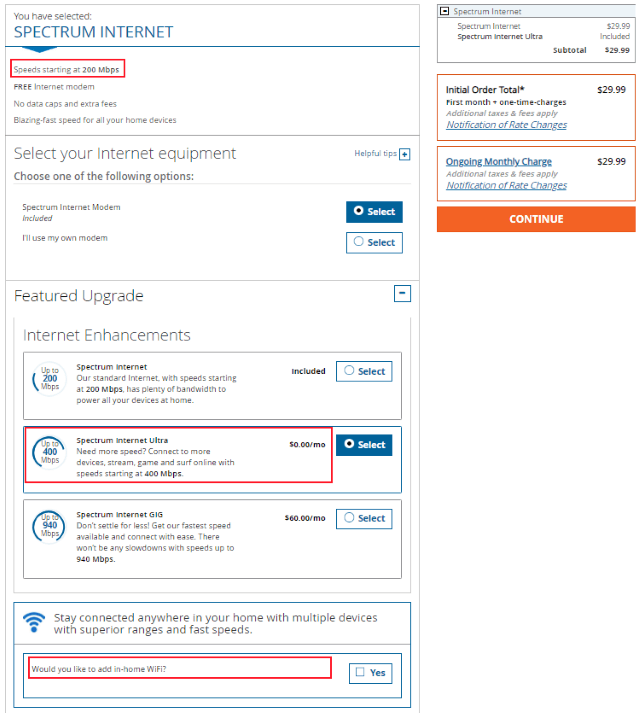 Two Competitor Pricing: $1,079.64³ which delivers a savings of $3,023.88 over three years because of the presence of Google Fiber and one other serious competitor.